Are you loading your grocery cart with healthy sources of protein? Beans and legumes — meaning all types of dried beans, split peas and lentils —garnered the most votes. One serving of beans per day helps lower “bad” LDL (low-density lipoprotein) cholesterol. Four servings (versus less than one) per week can reduce the risk of heart disease. Four servings a week can decrease the risk of recurrence for colon polyps that can turn cancerous. Eating enough plant protein in general — including bean, peas, nuts, seeds, soy and 100 percent whole grains — helps protect against chronic degenerative diseases, notes Alax Neiswonger, RD, LD. When relying only on plant-based proteins, she adds that some researchers recommend getting 0.9 grams, versus the recommended dietary allowance of 0.8 grams, of protein per kilogram of body weight per day. “Wild salmon is the perfect source of lean protein and provides incredible benefits because of its anti-inflammatory fats,” says Brigid Titgemeier, MS, RDN, LD. Three ounces contain nearly 17 grams of protein and provide a key nutrient that your body can’t make on its own: omega-3 fat. “Studies have proven that the high omega-3 fatty acid content in wild salmon helps to lower triglycerides and blood pressure, and decrease platelet aggregation (stickiness),” says Julia Zumpano, RD, LD. That lowers the risk of plaque and blood clot formation in your arteries, which leads to heart attack and stroke. “The omega-3 fats EPA (eicosapentaenoic acid) and DHA (docosahexaenoic acid) in wild salmon decrease the inflammation associated not only with heart disease but also with autoimmune diseases,” adds Ms. Titgemeier. Omega-3 fats also benefit your brain and nervous system. Aim for at least two servings of wild salmon per week. Eggs are a low-carb, low-calorie and low-cost source of protein. One egg provides 6 to 8 grams of protein with only 70 calories. 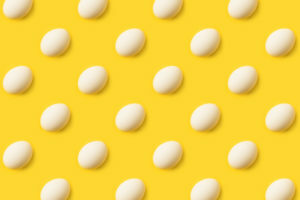 Extremely nutritious, eggs are a complete protein and have a rich supply of key vitamins and minerals. 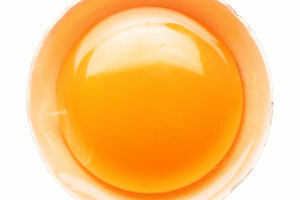 Much of the egg’s nutrition, including vitamin D, omega-3 fatty acids, B vitamins and choline (which may contribute to mental clarity), is housed in the yolk. According to the 2015-2020 Dietary Guidelines for Americans, eggs are one of the proteins that make up a healthy eating pattern. Research suggests that eating two to three eggs per day may have cardiovascular benefits. 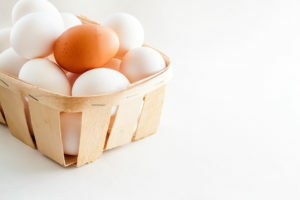 But Cleveland Clinic heart experts generally recommend limiting eggs to one per day or half a dozen per week. If you eat dairy, don’t rely on cheese, which is high in saturated fat, for protein. Greek yogurt is a far more nutritious option. Greek yogurt also boasts probiotics, the healthy bacteria that support gut health. And it’s a good source of calcium and vitamin D.
She recommends fat-free plain Greek yogurt over the high-fat, high-sugar varieties in the store. Instead of high-sugar granola, add your own fresh or frozen fruit, slivered almonds or walnuts, and chia seeds or ground flaxseed. Protein foods help us grow and develop, furnish us with energy, and build and repair cells and tissues throughout the body. Focus on the most nutritious sources of protein for the greatest health gains.